Last month in Brussels the European Union hosted Prime Minister Malcolm Turnbull. During his trip, Prime Minister Turnbull noted that the rules-based international order “is straining under the weight of its success”. It is a good analysis of the challenges that the EU and Australia are facing. There are few issues that are as relevant to the EU and to Australia as challenges to the rules-based international order. We are at a critical moment in a new era as the system established in the last previous decades is changing. With Asia, and especially China, becoming more influential and the uncertainty surrounding the US, things are unavoidably evolving. Until recently, the US-led global order was one of the rules, incorporated into a system of international organisations and laws, such as the United Nations and the World Trade Organization. This rules-based international order addressed the problems that caused World War II and it also demonstrated resilience by guiding us into a new era of prosperity and democracy. The uncertainty surrounding the US global leadership has opened the door for other countries to pursue their agendas in their way. China is increasingly becoming more active in the South China and East China seas and is pushing further on its claims over islands in this area. Russia has not only annexed Crimea and intervened directly in the Ukrainian conflict; it is also demanding recognition of Russian influence around its neighbourhood. We have to ask ourselves whether the post-World War II institutions and rules can withstand these challenges to US global leadership and the rules-based global order that we support. These challenges are particularly relevant to Asia, and there is a strong case for having a fresh look at regional security order in Asia. To what extent are its rules accepted by all? China’s rise and its assertiveness coupled with changes in US posture make this rethink even more compelling, as the alternative to a rules-based regional order is a power-based one. There is the sense that the existing order is not robust enough to handle the strategic shifts underway. Nor does it seem to be equipped with enough crisis management capacity to effectively handle crises, such as the North Korean crisis. 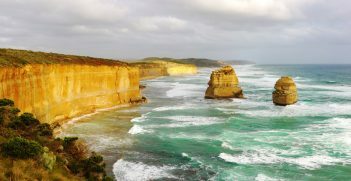 The EU and Australia share important historical and cultural heritage. However, this is not the only foundation on which we have built our relationship. We are like-minded partners with strong beliefs in common democratic values and shared commitments to promoting a rules-based global order. Furthermore, we also have important trade and investment links that give our relations great potential. Our relations are becoming more political and we have launched a number of initiatives to deepen and further this dimension. The EU-Australia Framework Agreement marks the beginning of a new era of strategic cooperation between us. This Agreement will deepen cooperation in the areas of foreign and security policy, sustainable development, climate change and economic/trade matters. We are also working towards starting negotiations for a bilateral free trade agreement that will increase trade and investment flows and promote innovation and employment in both the EU and Australia. This negotiation will also send an important signal in support of the rules-based trade system which is currently under pressure. Security is a very important aspect of EU-Australia relations. A key element of our partnership is the Security Dialogue. 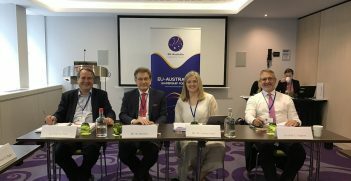 In terms of foreign and security policy, the EU and Australia are like-minded partners on the international stage and work together to face global challenges, both in a bilateral and multilateral context. Strategic cooperation is on-going in areas such as counter-terrorism, development and humanitarian aid and in the promotion and defence of human rights. The EU would also like to welcome Australia as a potential partner in crisis management missions. 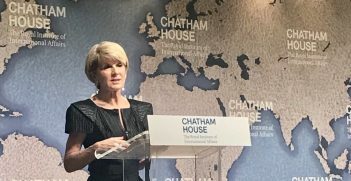 While Australia has already contributed to an EU-led crisis management mission in the Horn of Africa, there is definitely room for increased cooperation in this area. We also have a successful counterterrorism dialogue. As we at the EU try to protect our values and commitments, it becomes increasingly more important to work together with countries and organisations that share our beliefs and value both global security and open markets. I want to emphasise the partnership of the EU and Australia in this context. We are both like-minded partners and it is important that we face these challenges together. Gunnar Wiegand is the Managing Director for Asia and Pacific in the European External Action Service (EEAS). He is the EU’s senior official for the Asia Europe Meetings (ASEM) and EU-ASEAN relations. 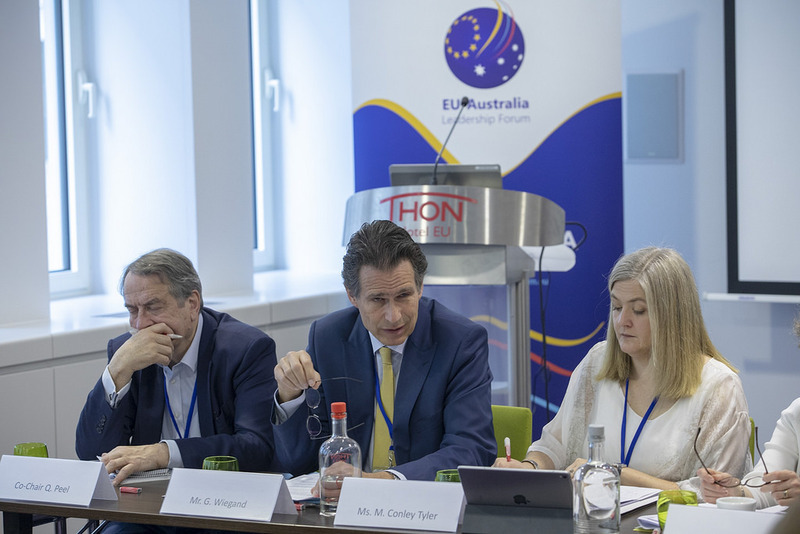 This article is an edited version of his presentation at the EU-Australia Leadership Forum Sectoral Policy Workshop on a Rules-Based International Order which took place on 26-7 April in Brussels. The AIIA is part of the international consortium delivering this project.